The end of the year is coming to a close, which means you’re most likely gearing up for your New Year’s Eve party. But in the midst of all this, it’s also the time to a assess your business and set your venue up for even more success in the coming year. We’re at this critical juncture as an industry of keeping up with the demands of customers, the expectations of general consumers, and continuing with everyday business to keep things afloat. It’s a lot to manage, especially with the busy holiday season. But in 2018, we as an industry can’t afford to keep pushing out implementing new practices. There have been articles for the past few years claiming nightlife is dying. I disagree. I believe society is evolving, and we’re not evolving with it. We aren’t dying; we’re falling behind. Think about the experiences your customers have in every other industry. Retail, online entertainment, even coffee shops have all shifted to cater to individual needs based on timing and past habits. Retail stores send emails suggesting items you might like because of what you’ve bought in the past. Amazon reminds you of when you’re likely due to re-buy a household item. Netflix suggests a show you should watch based on what’s trending and what you’ve previously enjoyed. Starbucks knows once you get into the store what they should offer to up-sell you based on your tastes and budget. All of these industries start with tracking your behavior so they can later reach out on a very personal level to get you to spend even more. It’s personal. It’s data-driven. And that’s where we’re falling behind in the nightlife industry. In 2018, it’s no longer about opening your doors and assuming people will walk in. It’s about guaranteeing people will walk in, and the right people at that. But just like very other industry, it starts with tracking your customers’ behavior. And I mean every customer, not just your VIPs. Fortunately, tracking your guests is fairly simple with the right system. It shouldn’t add a ton of new processes to your staff, nor take up much more additional time to collect the data. The best solution is a system that has ID scanning, POS integration, and a CRM system at the core of its functionality. Solutions like Vēmos is built with these three at its core, combined with general admission, guest list, tickets, and reservation management features. The reason having the core is important is because you’re now able to track every guest who walks through your door, including their spending habits once inside. Take this example: It’s Friday night, and it’s Lucy’s first time at your venue. You scan Lucy’s ID with the system to verify legality, but because you’re using a system backed by a CRM system, you have now created her personal guest profile in your database. Lucy then goes to check in with the general admission cashier to pay cover. You now know Lucy is a general admission guest who has paid $20 to get inside, bringing her lifetime value up to $20. Lucy goes to the bar and orders a vodka tonic. The next time she orders a martini. Every time she places an order, it’s added to her guest profile because your system is integrated with your POS and is backed by a CRM system. Her lifetime value in her guest profile rises every time she orders. Lucy comes back with 5 friends as a guest list customer the following Friday. You scan her ID to verify legality, and are notified that this is her second time at the venue and she’s worth $x. You notice she’s brought more people with her. You thank her for coming back and bringing more guests to your venue. This provides personalization and gives her that specialized treatment. Now that you have Lucy’s profile and see that it’s building over time, you’re able to amplify her experience. Does she keep coming back every week as a GA or guest list guest? Upgrade her to a reservation and start her off with a bottle of champagne to thank her for her loyalty. Is there a new concert coming up that you think she’d like? Send her an email or text message to buy a ticket before the concert is unveiled to the rest of the public. Do you think there’s a craft cocktail she’d like better that would earn you more revenue? Promote it to her. Because you started with collecting and tracking behavior, you’re now able to later reach out with personal messages to get your guests to come more often and spend even more once they’re there. This is what is going to get you to level up to other experiences in other industries. It’s no longer sufficient to make assumptions on how your venue is performing and who your guests are. It’s also no longer sufficient to just focus on the data from one area of your business. It’s about taking a comprehensive approach that provides insight into all of your guests. After all, the more you know, the more you can do. And with a new year approaching, it’s time to garner even better results and higher revenue than the previous year. We recently published 7 tips to get a head start on the biggest event of the year. Now with it being right around the corner, it’s time to start elevating your New Year’s Eve party and thinking of ways to take it to the next level. While countdowns and confetti are always the norm, here are a few added elements we’re seeing in this year’s parties. Theme-based events have been popular throughout 2017, and the trend isn’t stopping for New Year’s Eve. The succinct nature that comes with a theme is what provides structure to the experience you’re providing. It’s no longer just a glamorized party; it’s a way to truly commemorate 2017 and welcome in 2018. And when you have a theme that’s fully thought out, you’re able to provide your experience right at the start, from when your guest first learns of the event, to when they RSVP, all the way down to when they arrive. The more you can get into your theme, the more enticing your party will be. This year, I’ve seen themes range from a frosty affair, to a tropical cabana oasis, to mission impossible complete with a video invite. There’s no limit to what you can do, it’s a matter of playing to your guests’ interest and executing the experience. People are more likely to splurge on a VIP experience for New Year’s Eve, which means you have to take care of them and execute above their standards and expectations. While VIP bottle service is the everyday for many nightclubs, your NYE VIP service needs to be a step higher. People expect to pay top-dollar to receive this premier customized service, and if your staff acts like it’s just another area of your party, your guests aren’t going to get the experience they expect or deserve. To take your VIP to the next level, make sure you’re focusing on all the right details that elevate their night. Greet them by their name when they arrive. Turn your tables into cabanas. Provide a free hookah. Add in a layer of live entertainment. Think of ways you can use your theme to add layers of value. After all, this is a great time to wow your guests and build loyalty for the coming year. A signature cocktail can go a long way in wracking up those bar sales without burdening your staff on the busiest night of the year. Plus, when done well with your theme, they get guests excited to try something new and festive to ring in the new year. Work with your theme or embrace seasonality as inspiration of a signature cocktail. Bonus points for not making it overcomplicated for your staff, yet still memorable for your guests. There are many directions you can go with your New Year’s Eve party. The most important thing is to make sure it lines up with the type of party your guests want to attend. From there, it’s all about optimizing your revenue is by getting a head start with planning, selling early bird pre-sale tickets to create demand, and making sure all of your offerings are succinct to set the stage for the experience you’re providing. New Year’s Eve is the biggest event of the year, but it’s also the most competitive. A lot of venues start selling tier 1 tickets as early as late September, and sell out of those tier 1 tickets by end of October. That’s why it’s important to get a head start and get your event planned out so you can have a successful and profitable night. 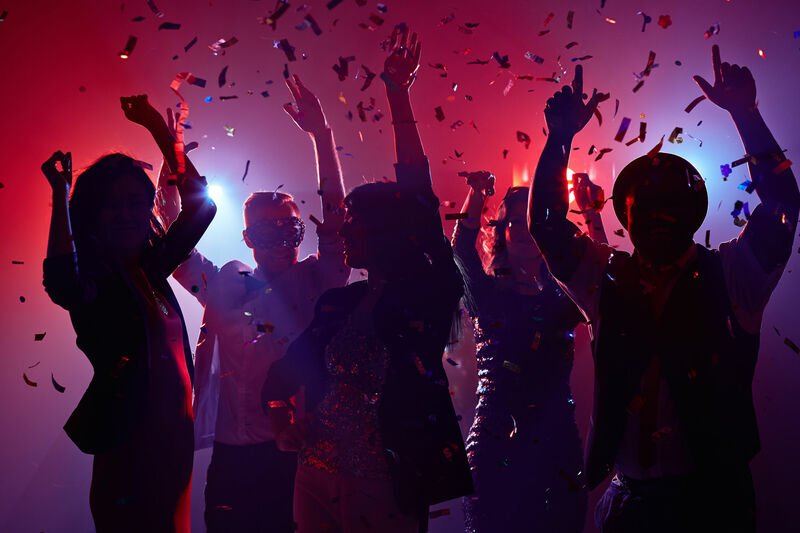 Follow these 7 tips to ensure a successful New Year’s Eve party. You need an event page, and you need it to be launched now. This gives you time to market your event and attract customers so they can start making their plans around your party. It’s important to have a section of your website or a specific landing page dedicated to your event. Simply having a sentence description on a third-party ticketing company’s website isn’t going to cut it. People want to know the vibe of your party, understand why they should attend, and get a gage at what they can expect by attending. Plus, having your own page allows for greater SEO opportunities, allowing guests to find out about your event in search results. It’s also important to make sure customers can buy tickets directly on your website and aren’t redirected to a third-party. Redirects oftentimes lead to cart abandonment, and you can lose out on that customer’s data. Work with a ticketing company that’s built for nightlife events and integrates with your site for the best user experience and to collect the most data to fill your guest database. Experience is everything, and it’s what drives your customers to be loyal. Your customers are looking for a personalized experience, especially those that attend on the regular. Consider doing a pre-launch with the customers who have come to your venue throughout the year with an exclusive release before launching your tickets to the public. Reach out to them either via text or email and give them preferential treatment on tables and tickets. 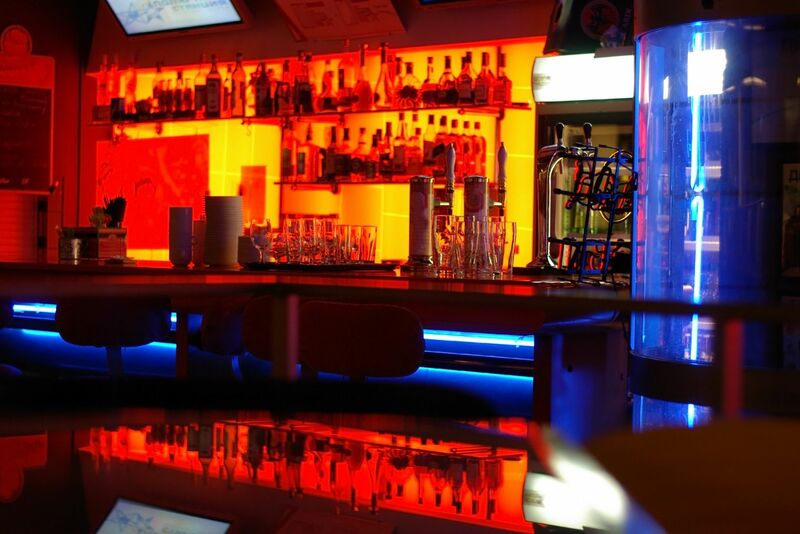 This is going to make a big impression on your most loyal customers, and it’s going to drive them to plan their night out with their friends at your event. Data matters more than you realize. It’s what allows you to understand what does and doesn’t work to set you up for success. Use last year’s data to understand which channels brought in the most guests, and replicate that. If you don’t have access to last year’s data, it’s time to start looking into systems like Vēmos that allows you to access all of your information in one central spot. One of the most important pieces of data you’ll want to track is your marketing channels. You need to track where your customers are finding you and why they’re choosing your event over others. To do this, assign specific links to each channel and staff member. Then, use those links on your various channels (i.e. a different link for Facebook, Twitter, third-party media, digital ads, etc). Also make sure your staff is using their personal link when they promote your event so they get credit. The results will inform you of what you should and shouldn’t be spending your time and money on. When you get your marketing channels to work together, you’ll have a bigger audience reach and a higher likelihood of selling out before your event happens. Encourage people to pre-purchase their tickets by creating supply and demand. Showing them your price will increase as the event gets closer creates demand for the few supply of early bird tickets. You can set your tickets to increase price by the week, day or even hour leading up to your event. You can also set your tickets to increase by quantity after x amount of tickets are sold. This encourages people to buy early and have time to share their plans with others. Plus, when guests pre-buy their tickets, you’re generating revenue before the night of your event, helping you cover costs before your event even happens. Your VIP guests are important, and you want to make sure they’re not getting lost in the shuffle of general admission purchases. For New Year’s Eve, we recommend pre-selling tables, either in full or with a deposit. That way, you can have a gauge of your table inventory and number of VIP guests you can expect. It also helps mitigate your no-show rate the night of the event. During the night, make sure you set up your door to handle tables through a different entrance and check-in process. Now, your highest spenders are getting exclusive treatment right off the bat. Also make sure your staff knows to keep an eye on how many people are sitting at each table. During a hectic night, it’s easy to overlook a party of 10 actually brought 20 people with them. And as a result, you just lost out on payment for 10 extra people. That’s one of the easiest ways venues lose money on New Year’s Eve and other big event nights. Having a separate entrance and a reservation system that ties to your events/ticketing system will help alleviate this issue. It’s easy to lose sight of safety and compliance when preparing for the busiest night of the year. Yet, New Year’s Eve is typically the night where people over consume, which accounts for the highest amount of emergency room visits. Work with your bartenders to make sure they know when to stop serving overly intoxicated guests. Get on board with an ID Scanning system to reduce your liability. Better yet, use an ID Scanning system like Vēmos that syncs with your database, helps to detect fake and invalid IDs, manages your digital 86 list, and syncs with a city-wide ban list so you know who you should and shouldn’t let into your venue. It may no the the fun part of New Year’s Eve, but it’s important to mitigate your liability on this busy night. Last but not least, make sure all your staff is up and running on the same system and strategy for smooth operations. All the small details matter, and t’s what leaves a lasting impression with your guests. Cheers to your successful New Year’s Eve event and hosting a fun party for your guests to ring in 2017.